"Lightning Seeds" are an alternative pop and rock band from Liverpool formed by singer and guitarist Ian Broudie, who is also the main songwriter for the band. They are best known for their single "Three Lions" and the album "Jollification". They have acheived two #1 singles in the UK singles chart, as well as Top 20 and Top 50 success in the UK album charts. In 1989 Ian Broudie began recording alone under the name "Lightning Seeds" and achieved success with the psychedelic synthpop hit "Pure", from the album "Cloudcuckooland", which reached the UK Top 20. In 1989 Ian Broudie began recording alone under the name "Lightning Seeds" and achieved success with the psychedelic synthpop hit "Pure", from the album "Cloudcuckooland", which reached the UK Top 20. The same year "Joy" and "All I Want" were also released but failed to make an impression. "Pure" had some success in the US Billboard Top 40 reaching #32. Both "Pure" and "All I Want" also reached the Modern Rock Tracks top 10. In 1991 Broudie returned to song-writing and moved labels from Rough Trade to Virgin. The album "Sense" featured the song "The Life of Riley", written by Broudie for his son, which reached #28 in the UK singles chart and just registered at #98 in the US Billboard Hot 100. An instrumental version of the song later became better known as the BBC TV theme for the "Goal of the Month" competition. "Sense" would mark Broudie's first "Lightning Seeds" song-writing collaborations with former "Specials" singer Terry Hall. The album's title track "Sense", co-written with Hall, climbed to #31 in the UK Singles Chart, however the album stagnated at #53. Broudie's contract expired with Virgin and Epic agreed to sign him. Broudie put other projects on hold and embarked on a touring schedule. By the end of 1993 Broudie had finished the "Jollification" (1994) album, which included contributions from Terry Hall and Simon Rogers as well as Ian McNabb. A promotional tour began in August 1994 with their lineup consisting of, guitarist Paul Hemmings, drummer Chris Sharrock, bassist Martyn Campbell and keyboardist Ali Kane. 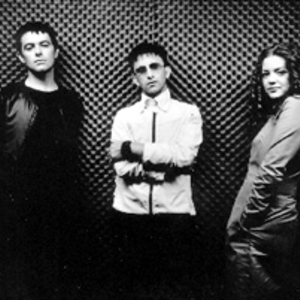 The tour benefitted from the success of the second single from the album "change", which reached #13 in the UK singles charts, becoming "Lightning Seeds" second UK top twenty hit. The album "Jollification" became a critical success and the singles taken from this album, "Lucky You", "Marvellous" and "Perfect" made noticeable impact. Mark Farrow's album cover featured the use of computer graphics to create an enormous strawberry and depicting seeds with superimposed human faces. The band purchased "Eel Pie Studios", created using a barge moored on the River Thames, from Pete Townshend of "The Who". During this period a number of songs were recorded for the fourth studio album "Dizzy Heights". The single "Ready or Not" was released ahead of the album and reached #20 in the UK singles chart. In 1996 the "Football Association" commissioned Broudie and "Lightning Seeds" to write theme music for the "Euro '96" football tournament. Broudie agreed on the condition that comedians Frank Skinner and David Baddiel wrote the lyrics. The resulting song, "Three Lions", became the band's first #1 on the UK singles chart and was adopted as a football chant, not only in the UK but also in countries such as Germany, where the single and accompanying video reached #16 in their charts. During this period the band achieved three more UK Top 20 hits, including a cover version of "The Turtles" "You Showed Me", which beacame one of their biggest hits. Between 1996 and 1997 the band's line-up changed. Chris Sharrock left to work with "World Party" and was replaced by Mat Priest from "Dodgy". Angie Pollock, who had previously worked with "Shakespears Sister" and Terry Hall, replaced Ali Kane on keyboards. 1997 saw the release of "Like You Do" and a UK promotional tour followed. "What You Say", one of two new songs included with the compilation, was released but failed to register in the top 40. Part way through the tour Zak Starkey, son of the "Beatles" drummer Ringo Starr, replaced Priest on drums. In 1998 "Three Lions '98" was recorded for the "World Cup" in France, featuring a re-written lyric. The song reached #1 in the UK singles chart and became the first song to top the charts on two separate occasions with different sets of lyrics. In 1998 "Lightning Seeds" also performed on the main stage at the "Glastonbury Festival" and the "V Festival" in UK. Their 1999 album "Tilt" was dance-orientated and featured collaborations with Stephen Jones. The single "Life's Too Short" was heralded by BBC Radio 1 DJ Chris Moyles as "one of the band's strongest singles to date" and rose to #27 in the UK Singles Chart. "Sweetest Soul Sensations" reached #67 and did not attract serious attention. In 2000 "Lightning Seeds" performed along with "Space" and "Stereophonics at "Cream 2000". Later that year Broudie confirmed, in the "Liverpool Echo", that "Lightning Seeds" were to take a long break after a final show at Liverpool's "L2" venue. In 2002 Italian dance music producer Alex Farolfi sampled "You Showed Me" for his first solo single "Burnin", which featured Corinna Joseph. The band's second greatest hits album "The Very Best of the Lightning Seeds" was released on June 12 2006, followed by the re-release of "Three Lions", which rose to #9 in the UK Singles Chart. In the summer of 2006 Ian Broudie formed a new "Lightning Seeds" line-up for indoor shows and festival appearances.